idRamp | Decentralized Identity, Adaptive Access, and Cloud Security. Decentralized identity integration across diverse platforms and applications. Combine cross ledger (Blockchain, Hyperledger, Corda) services with conventional technology. Automate complex integrations, and transform your business with improved security, flexibility, and efficiency. An easy to deploy service with automated administration. Add or remove services on demand. Eliminate expensive “big bang” platform upgrades with rapid modular deployment. Adaptive access control and forensic analytics across all applications. Decentralized data integration with a zero trust framework that moves at the speed of business. Quickly adapt new technology to interoperate with legacy infrastructure. Continuously transform your business with a vendor agnostic modular architecture that eliminates vendor lock. 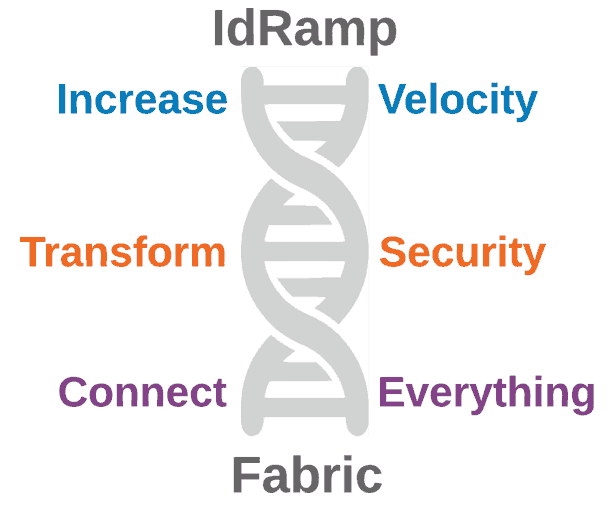 As your company grows, IdRamp adapts to your changing needs.